Help your first grader understand more about the world and the role they play with these social studies worksheets designed for the youngest citizens. Kids will learn how to read maps, take a deep dive into the Pledge of Allegiance, create multicultural paper dolls, meet and colour national symbols and landmarks, and learn about the past and present of our country and society at large. Help your child learn the basics of reading a map with this simplified county map. He'll colour and circle the different items that appear in the map key. Help your child visualize the passing of time in this easy timeline craft. 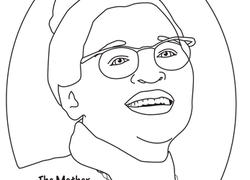 Introduce your child to President Abraham Lincoln with this fun coloring page. The White House in Washington D.c. is one of many American symbols for kids to learn about. Check it out! Thinking Past and Present: Long Ago or Today? Kids learn that how we live today is different than how we lived in the past by labeling each picture of everyday life as from today or long ago. Help your first grader understand different kinds of jobs with this worksheet that asks him to determine whether each worker provides goods or a service. Who said history couldn't be fun? Introduce your child to an important U.S. symbol with this Liberty Bell dot to dot. Does your little one like to travel? Help him create his very own play passport with this printable template. Sneak some learning into paper doll play with an Asia Pacific paper doll. Kids learn facts about Korea as they colour, then try to guess the country. Does a plumber provide a good or a service? Introduce your first grader to beginning economics with a lesson on the difference between goods and services. It’s never too early to begin fostering an awareness of our world, and these year two social studies worksheets are a great tool to introduce young kids to the communities, cultures, and systems that shape our lives. 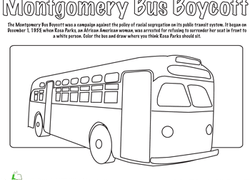 Teach your child the basics of directions and map reading with engaging worksheets that double as coloring pages. Let them explore people, cultures, and countries around the world with stimulating paper doll crafts and coloring activities. Take a closer look at our national parks, the American flag, Pledge of Allegiance, and other national symbols with our many exciting printable worksheets. Or challenge your first grader to expand their critical thinking skills by comparing past and present scenes of everyday life via matching, drawing, and Venn diagrams as they examine how life and society changes over time. Whether kids are creating their own flag, drawing a picture of what it means to be a good citizen, or completing a George Washington coloring page, you can rest assured that their lives are a little more enriched and their perspective broadened with our social studies worksheets on hand.